Have You Ever Watched A Performance At This Iconic Auditorium In Lakdikapul? 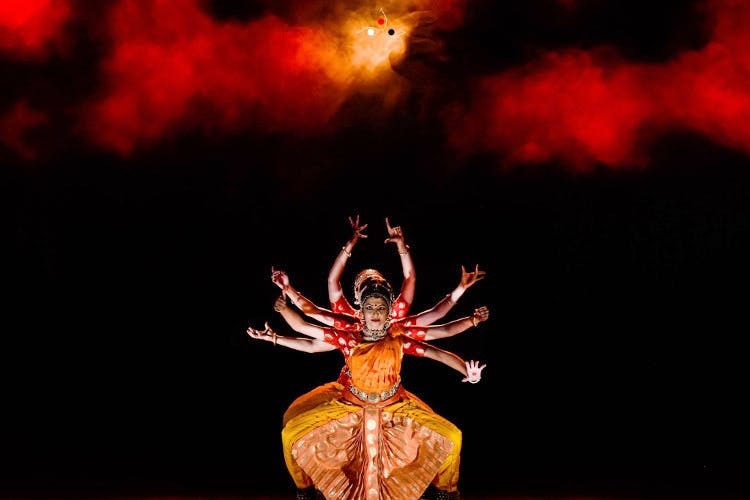 Ravindra Bharathi, the cultural venue, known to host some of the best artists and novices from a plethora of fields continues to bring incredibly curated events to the city. Here’s what to know about the place. Ravindra Bharati’s stage has been a humble abode to artists like Kavitha Krishnamurthy, L. Subramanian, Shobha Naidu who have delivered brilliant performances here. This prestigious national theatre was constructed between 1960-1961, and it has been a host to numerous cultural and theatre events in the city ever since. Constructed as a part of the birthday celebrations of Rabindranath Tagore and truly holding up to his legacy today, this auditorium in Lakdikapul conducts regional music programmes, dance performances, poetry, drama, and cultural events of schools and colleges. It caters to the cultural needs of Hyderabad. For artists, it is a matter of pride to be able to perform on this stage, and the venue has held shows by some of the most prominent artists all over the country. Although, it is also a venue that provides a platform for amateur programmes. So whether you are an individual who wants to attend classical programmes and indulge in music, dance, and plays, or an organisation looking for an ideal venue for your next ethnic or artistic event, you know where to go. The auditorium has state of the art seating for 1104 people. The stage, acoustics, air-conditioning, interiors, green rooms were all improved during a renovation in 2005, and have been maintained since. They have the main theatre, a mini-theatre, and a conference hall too. The exteriors have facilities like a parking area and food court. Known for its old-school architecture, this is also a popular choice for conducting workshops for a larger crowd. If you’re interested in organizing an event or for further information, you can check the availability of the space and contact their office. If you’re someone who is looking for exploring the cultural heritage of the city and discover some immersive plays and dances, Ravindra Bharati might just be what you’re looking for. No evening here can be drab. So, get here and thrive in glorious art, music, and all things beautiful.